FavePay | Pay with your smartphone at restaurants and get instant cashback! No cash? No worries! 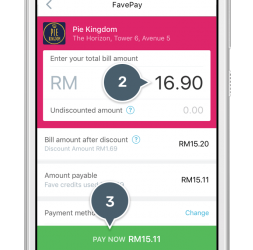 FavePay lets you pay your bills with your smartphone quickly and easily – whether you’re eating at your favourite restaurants and cafés, or fitting in some retail therapy. No more swiping cards or counting cash. 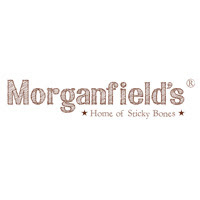 Just ask to pay with FavePay, and get rewarded with up to 20% cashback at the best places in town! Download the Fave app to start using FavePay! 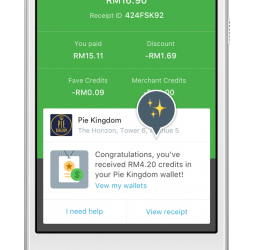 Over 3,000 outlets in Malaysia accept FavePay! *You will need to register your credit/debit card to use FavePay. Rest assured, we take data security very seriously, and store all information and card details in a secure vault service using state-of-the-art encryption. The media loves FavePay too! "Designed to reward customers and encourage them to return for further visits in the future"
"Aims to enable anyone with a smartphone and a credit/debit card to pay using their phones"
"Fave goes beyond just deals with FavePay; allows users to pay and earn rewards by scanning a QR code"
"FavePay has finally made their debut to make cashless great in Malaysia"
"A smart first step into enabling mobile payments in Malaysia"
start using FavePay at an outlet near you! Want to start accepting FavePay?